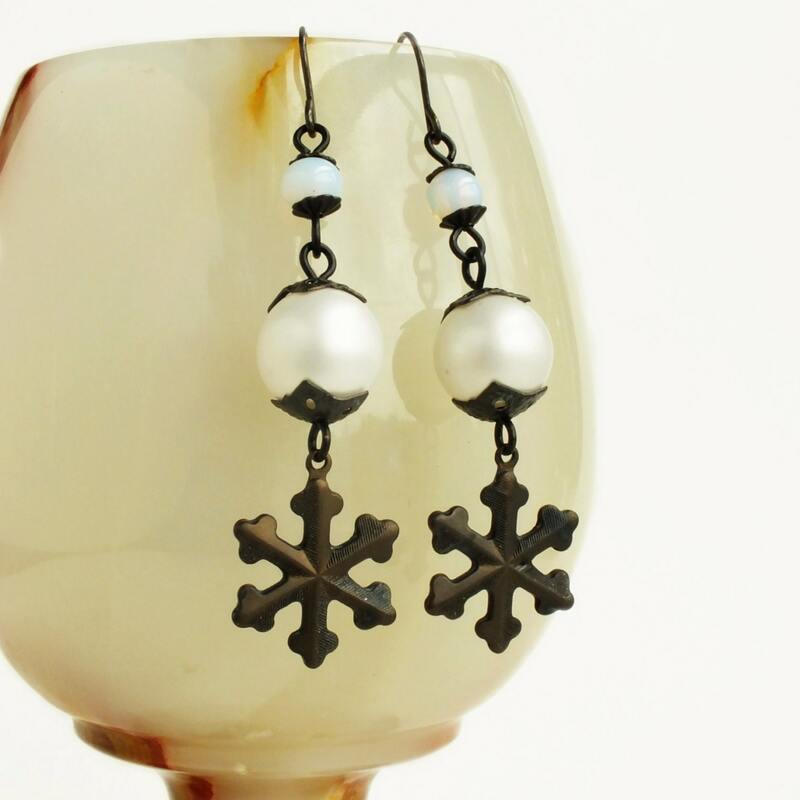 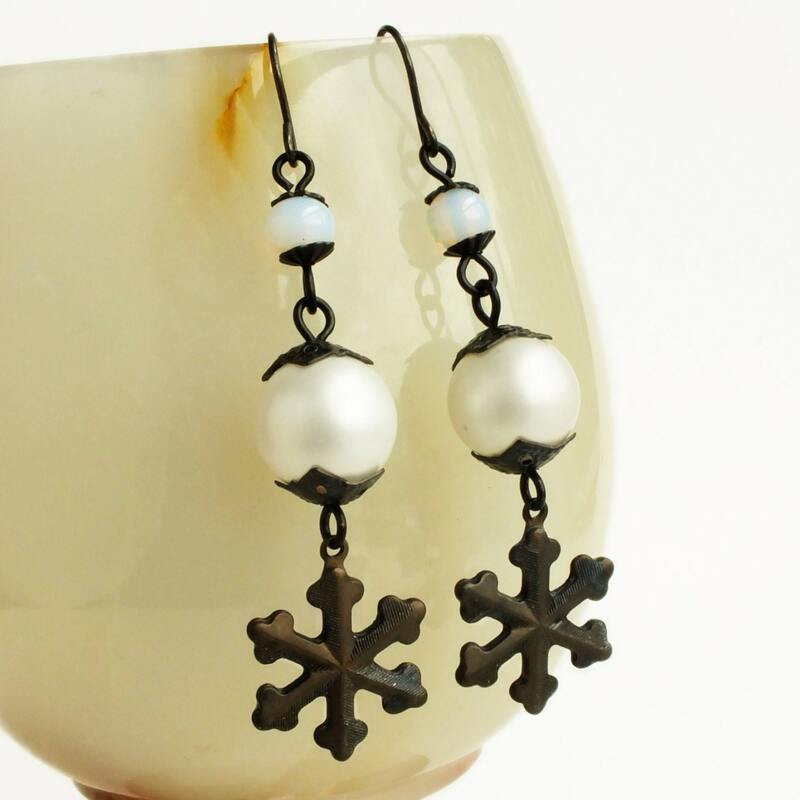 Handmade snowflake dangle earrings with vintage antiqued brass snowflake charms and vintage faux pearl beads. 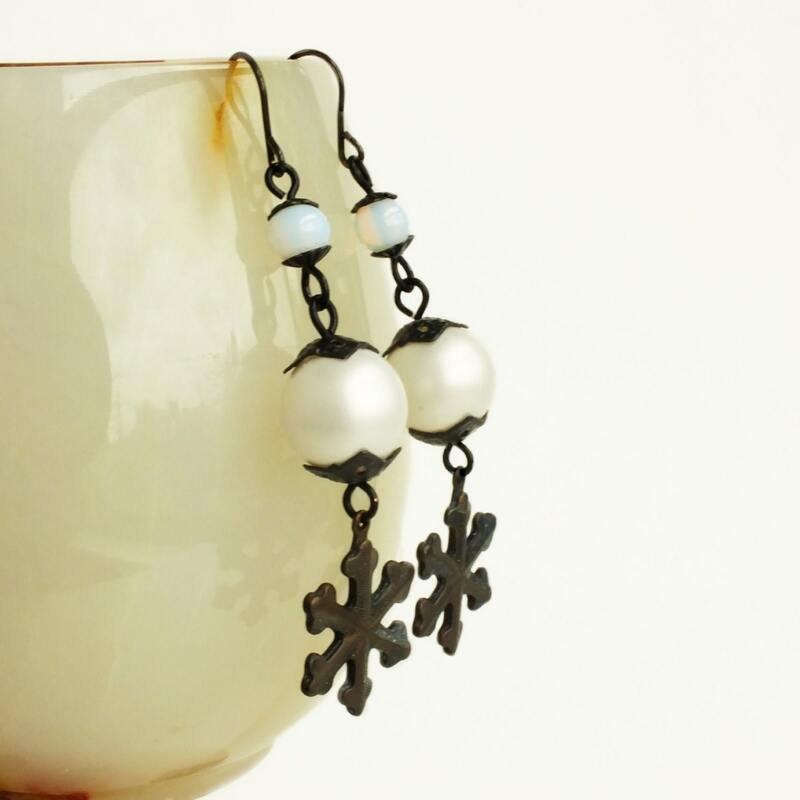 Genuine vintage beads, bead caps and charms. 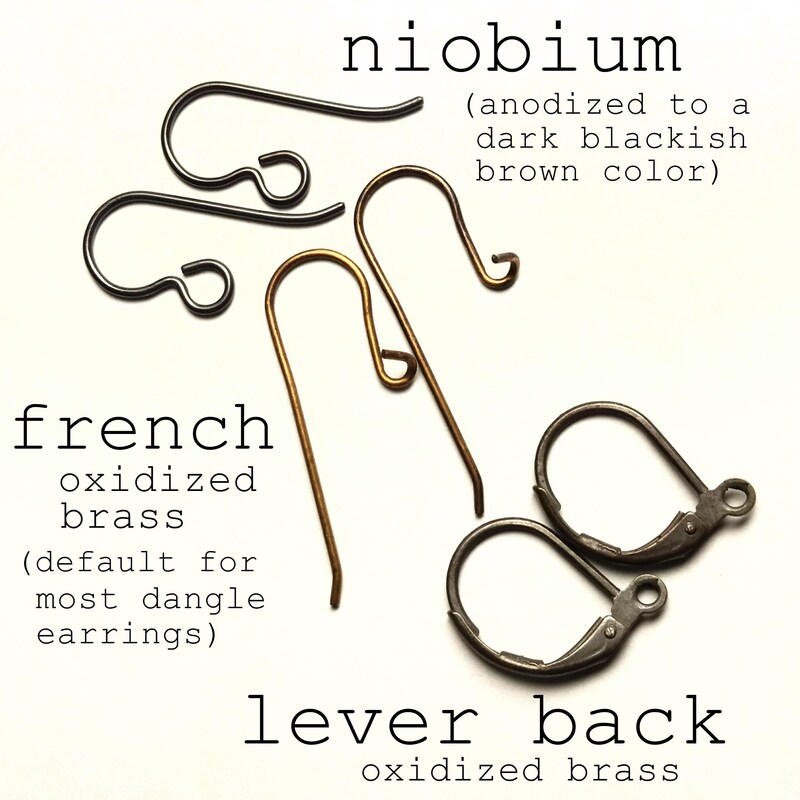 US made high quality oxidized brass ear wires. 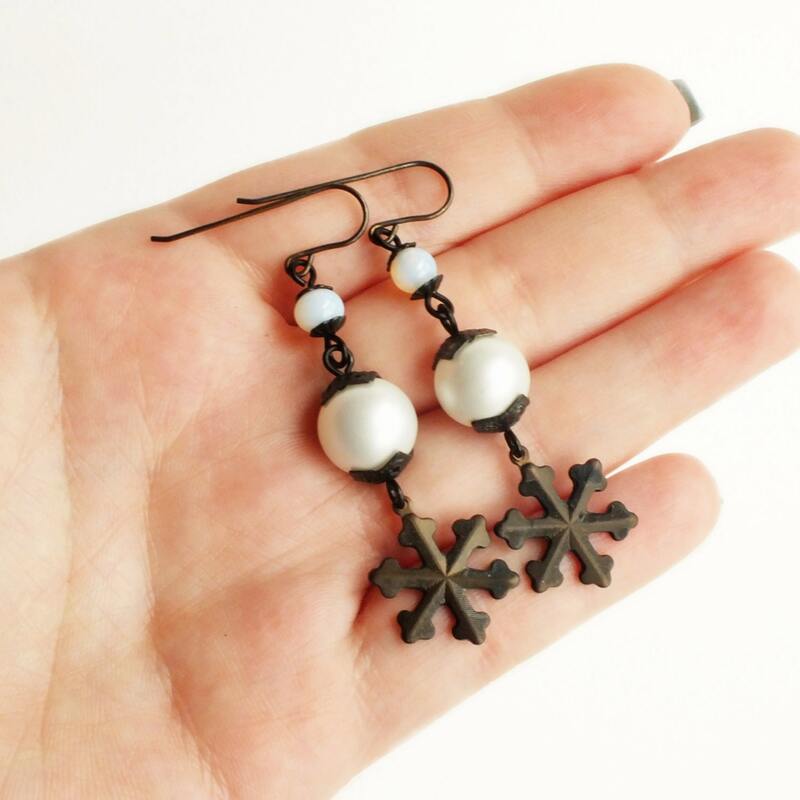 Made with genuine vintage dark matte antiqued brass snowflake charms. 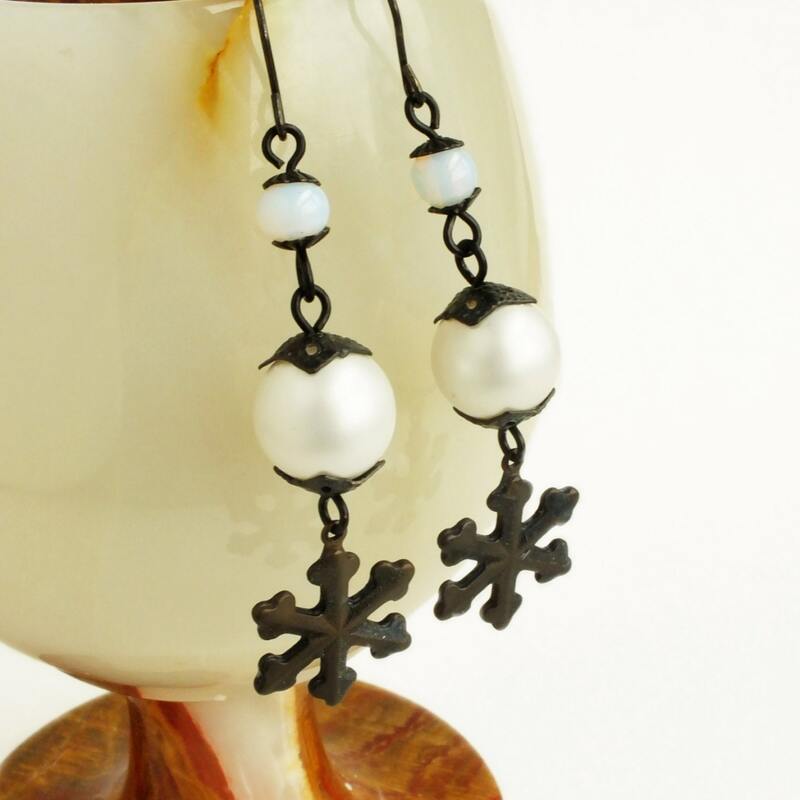 Adorned with vintage white Lucite pearl beads and vintage glass opaline beads.